Edwin Hall Higley (1843-1916) was professor of Greek and German at Middlebury College between 1872 -1882. The son of Hervey Owen and Sarah Gerrish (Little) Higley, he was born in Castleton, Vermont, February 15, 1843. Higley prepared for College at the Castleton Seminary and entered Middlebury in 1860. In September, 1861, early in his sophomore year, Higley enlisted as a private in Company K, First Regiment, Vermont Cavalry. He rose through the ranks to First Sergeant; 1861-1862, Second Lieutenant, 1862-1865, and Captain and Brevet Major, 1865. He was captured by the Confederates and imprisoned from July 29, 1864-March, 1865, and documented his experiences in a journal. Higley resumed his studies five months after his release. 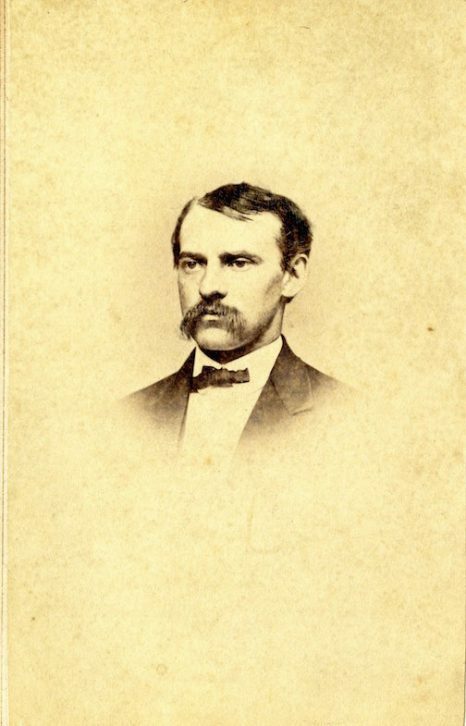 After graduation from Middlebury, he taught in Charlestown, Massachusetts, and was organist at the First Parish Church, in Charlestown, 1868-1872. In June, 1870, Higley married Jane Shephard Turner. In 1872, he returned to Middlebury to assume the post of Professor of Greek and German in 1872. Higley studied philology and sacred music in Leipzig, 1882-1884, and Berlin 1894-1895. Higley left Middlebury to become Master of Greek and German at the Groton School from 1884-1916. Higley wrote a number of books, including The Pilgrims and Their Psalm Tunes and Exercises in Greek composition (1897). He wrote reviews and musical compositions and was Centennial poet at Middlebury in 1900. Higley was a member of the American Philological Association. He also served as the Poet (1872), Orator (1886), and President (1887) of the Associated Alumni of Middlebury College and was President of the Middlebury Phi Beta Kappa Society (1890). Higley died in Groton, Massachusetts, on May 5, 1916.